Having brewed 1907, it's peacefullly resting ready to be racked on Monday. We are still taking pre-orders! We have an annoucement to make... 1907 is now available to pre-order! Place Your Orders:For delivery from 22nd May 2017E: telesales@hb.imT: 01624 6994939G or 4.5G Casks. 18G pre-order only. 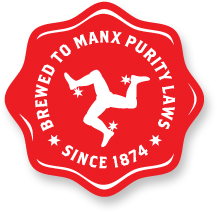 On Wednesday's edition of the Times Newspaper there was a guide to "Britain's 20 best pubs by the sea"
This Festival runs from the 6th to 8th April Beers that we have there are IPA MPA Alt Triskelion There are about another 160 beers available.